JUST ORDINARY MEN. HQ Troop, 1st Airborne Reconnaissance Squadron, 1st British Airborne Division (WW2) - HQ Trp. 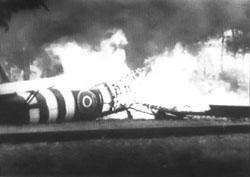 1st Airborne Reconnaissance Sqn - Why did it fail? Was Intelligence Responsible for its Failure? To analyse the operation; a brief description of the plan is necessary. Three months after the successful Allied amphibious assault at Normandy, German forces had retreated to the Netherlands. 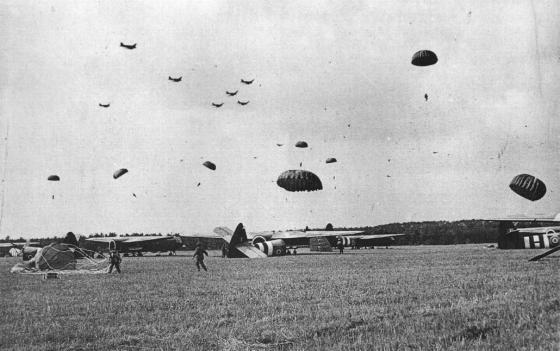 On 17 September 1944, the Allies attempted to exploit previous success with the largest airborne operation in history, MARKET GARDEN. The size of the operation was enormous: it included over 5,000 transport aircraft, 2,613 gliders, and almost 5,700 sorties of bombers, fighters and other close air support aircraft. The plan was implemented in the hopes of bringing a swift end to the war against Germany. By early September the collapse of Germany seemed imminent. A much quoted intelligence summary from the Supreme Headquarters Allied Expeditionary Forces G-2 expressed the situation in this manner:  The August battles have done it and the enemy in the west has had it. Two and a half months of bitter fighting has brought the end of the war in Europe within sight, almost within reach. By September however; one problem remained: the Allied breakout following Normandy had been too successful and the Allies had outrun their logistics tail. Particularly frustrating was the fact that, even though the Allies had liberated Brussels in August and captured the port at Antwerp in September, they were unable to open the port because the sea approaches remained in German hands. This left the enormous Allied military expedition with no major European supply port near enough to be useful. These circumstances put enormous pressure on Eisenhower to prioritize logistics between two of his subordinates, Montgomery and Patton. Both generals tried to convince Eisenhower that their effort was worthy of all available resources. Somewhat owing to politics, Eisenhower eventually gave in to Montgomery. 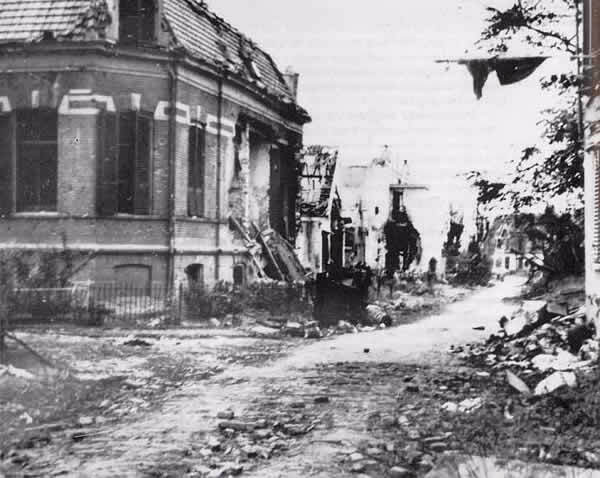 reinforcements to arrive due to greater than expected German resistance both at Arnhem itself and along the route travelled by 30 Corps. Most importantly, the operation did not cause a German collapse, as Montgomery had hoped. There are many theories as to why the operation failed. The one most often given is that the operation failed as a result of major intelligence errors, specifically in two areas, a gross underestimation of the enemy and serious misjudgement of the terrain. At face value these concerns sound like failure of the intelligence community to provide adequate information. However; some have made the case that adequate information was available and that this information was overlooked due to euphoria brought on by recent successes. As the most critical case in point, let us examine intelligence information for the battle at Arnhem. Defeat at Arnhem was in part due to the fact that Allied paratroopers were told to expect light resistance from no more than 2,000 recruits just learning the rudiments of soldiering, when instead the Allies were met by 6,000 battle-hardened veterans, equipped with artillery and tanks. Were intelligence reports about troop strength at Arnhem inaccurate? The answer may be that it depends on which report you chose to believe. The information in this intelligence summary confirmed information from another source, namely; the Dutch resistance forces. This information was eventually made known to Urquhart and his men. But now they were faced with conflicting intelligence. It is believed that this conflict was excusable given that planners only had one week to plan a very complex operation and there simply was not time to collect additional information on the enemy forces in the area. Major Brian Urquhart, the staff intelligence officer for the 1st British Airborne Corps under Lt Gen Browning and no relation to Urquhart, disagrees with Kirkpatrick. He personally ensured that Browning saw the 10th September INTSUM but was told by Browning that the reports were probably wrong, and that in any case the German troops were refitting and probably not up to much fighting. 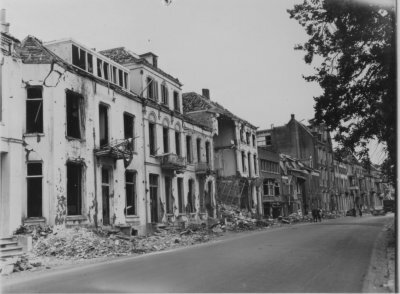 To convince Browning otherwise, Major Urquhart ordered that oblique photographs be taken of German troops in the area of the Arnhem drop zone from low altitude. The pictures confirmed the 10th September INTSUM and showed German tanks and armoured vehicles parked under the trees within easy range of the 1st Airborne Divisions main drop zone. Browning again dismissed this evidence. 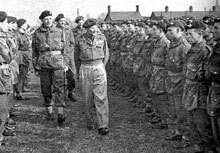 While intelligence concerning German troop strength at Arnhem was not perfect, it was plentiful and available to key decision makers such as Montgomery, Eisenhower, Browning, and their staffs. However, assessments done by the various intelligence directorates did not agree concerning the key issue of German resistance. Should this circumstance be construed as an intelligence failure? There are two major camps on this issue. One camp focuses on the time constraints of leaders and the confusion that results from innumerable publications. To this camp, quantity counteracts quality. Simply put, commanders do not have enough time to do the analysis themselves, so the intelligence community should weigh all factors and speak with one voice. Others believe that fostering multiple viewpoints is more prudent. Individuals in this camp believe that no relevant assessments should be suppressed. This approach is more likely to ensure that all possible options are represented. The problem, of course, is that this approach demands the operator or commander make the tough choices. In the best known cases of intelligence failure, the most crucial mistakes have seldom been made by collectors of raw information, occasionally by professionals who produce finished analyses, but most often by the decision makers who consume the products of intelligence services. The key element is appreciation of relevant data. This seems to be the case for those planning MARKET GARDEN at the operational level. Commanders at the operational level had sufficient evidence to merit a serious re-thinking of the airborne portion of the operation but chose not to believe this information was worthy of consideration. In fact, the notion that the Germans were a completely beaten enemy incapable of resistance seems to have been a common belief immediately preceding the operation. The Germans seemed ripe for defeat. Consequently, there was an overriding desire to implement the plan as rapidly as possible for several reasons. First, both Montgomery and Eisenhower were anxious to test airborne operations before the war came to an abrupt end. At the beginning of September, commanders at all levels from Eisenhower down were talking of the war being over before Christmas. For that to happen without having ever made full use of the airborne force, to whose creation so much expense and effort had been devoted, was unthinkable. To some extent it could be argued that previously cancelled airborne operations had been contrived for the sake of using airborne troops as much as to achieve some tactical or operational goal. Second, Montgomery wanted to secure for Britain the honour of dealing Germany the final blow. This is understandable given the fact that Britain had been fighting the Germans for years before the US entered the war. 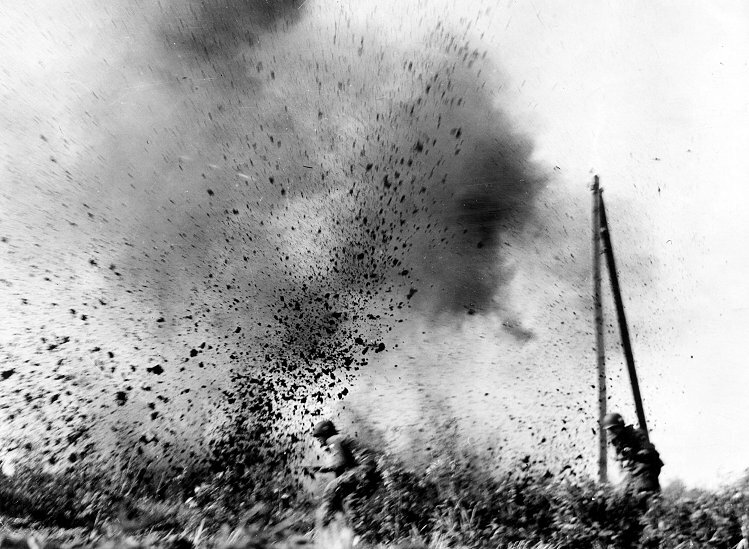 But the situation became more urgent once Pattons forces successfully broke out of Normandy. Indeed, one source claimed that Montgomery was chagrined by the spectacular successes of Patton, and was seeking, contrary to his reputation for caution, a British masterstroke to end the war. In fact, during one interview Eisenhower stated that Montgomery was intent on personally ensuring that the Americans received no credit for their part in the war effort. Inaccurate details regarding geographic features is the other area typically cited as an intelligence failure that caused MARKET GARDEN to be unsuccessful. 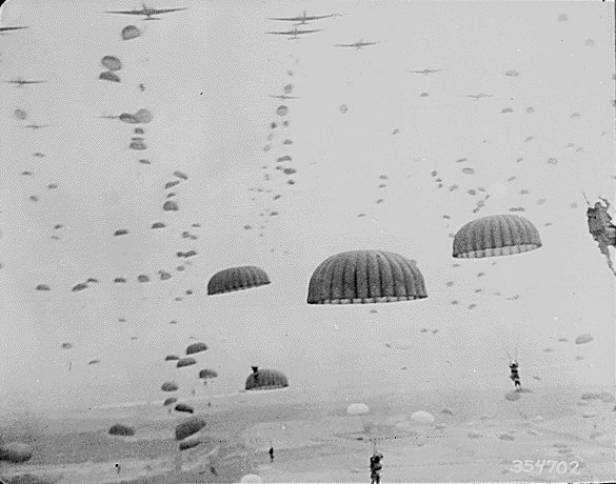 Planners for MARKET GARDEN needed details on terrain for two reasons to properly select drop zone locations and to determine the best avenue of approach to Arnhem and the other five bridges. Bernhard was left with the impression that Montgomery did not trust the Dutch underground at all. This exchange is telling in two ways. First, it indicates that Dutch intelligence was at least under utilised if not totally ignored. Second, Montgomerys caution concerning the retreating Germans is in curious contrast to some of his statements made days later that the Germans did not pose a credible threat to MARKET GARDEN. There is another reason unrelated to terrain for the fact that the Arnhem drop zone was so far from the bridge. The potential problem was the high concentration of flak around the bridge. This concern was the primary reason for not dropping troops closer to the bridge, not soft terrain. Here again, from the broader perspective, this concern is not consistent with Montgomerys belief that the Germans would not put up much of a fight. 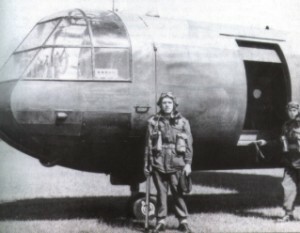 Certainly, Montgomery as the overall commander could have ordered the airlift forces to use the closer drop zone, especially given the relative importance of securing the bridge. General Horrocks, himself, was uneasy about the plan. In fact, in his biography, he gives the indication that he was well aware of the tough terrain, claiming that the terrain made the desert seem like childs play. Furthermore, Horrocks states there was only one road on which to make their approach, giving the impression that no alternate routes were considered. This would confirm Prince Bernhards claim that the Dutch were never consulted on this important issue. Determining the best avenue of approach, based on terrain and all other factors, would have come under the purview of the intelligence community. In this instance, it seems that lack of complete intelligence did extremely hinder operation MARKET GARDEN. It is unfair to say that intelligence oversights and mistakes led to the failure of MARKET GARDEN for several reasons. First of all, it is not true that intelligence failed to paint an accurate picture of German troop strength and capability. The correct information was available along with accurate analysis. True, not all intelligence summaries agreed, but there was enough of a disagreement to warrant more investigation and certainly greater caution. Secondly, it is not true that failure to accurately assess the terrain around Arnhem caused the Allies to pick drop zones six to eight miles from the bridge. In fact, terrain was only a minor issue. Furthermore, on this issue Montgomery was inconsistent. If the German troop strength was deemed too weak to challenge ground forces, then why wasnt it deemed too weak to challenge airlift assets? The one instance that is clearly an intelligence failure was the lack of coordination with Dutch forces about alternate routes to Arnhem. 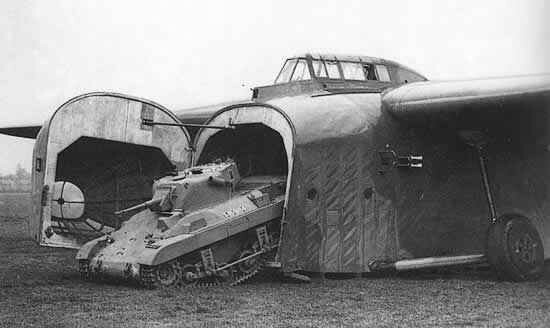 However, this in itself did not cause MARKET GARDEN to fail. To the intelligence communitys credit, they did accurately describe the difficult nature of the route that 30th Corps was to take. If blame must be assigned, responsibility for MARKET GARDENs failure can be given to planners at the strategic and operational levels who seemed hell-bent on carrying out the operation for at least two reasons. First, there was an ever-increasing push to test airborne operations before the war came to an abrupt end. Second, Montgomery pressed the urgency of the operation in part to make sure that Britain got credit for delivering the knock out punch. S.S. Panzer Corps) could not fight effectively. It might be more accurate to say that Montgomery was wrong and convinced all his subordinates to agree with him.